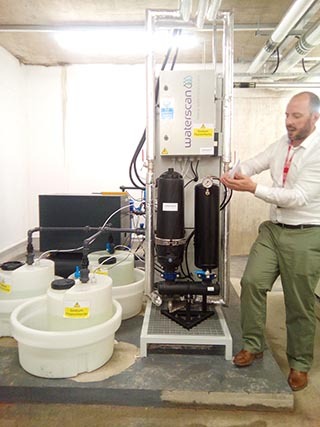 Members of the Water Reuse and Surface Water Management Technical Committee made a site visit to the GWOD (greywater recycling on demand) system located at the new Premier Inn Hub at Kings Cross at the invitation of Neil Pendle from Waterscan. 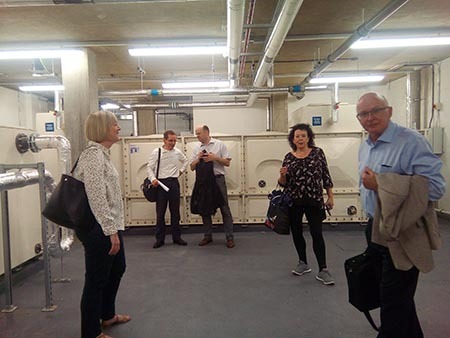 At the hotel we met up with Kevin Reed and Barry Millar (Waterscan) and, after a coffee and a quick catch up, we all set off down to the plant room where the GWOD is located in the basement of the hotel. 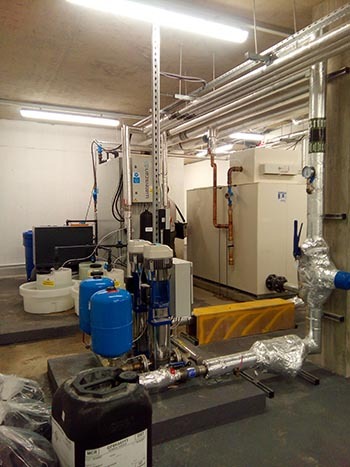 On entering the plant room the temperature rose by a couple of degrees, however the plant room was surprisingly spacious despite the equipment and a large tank for the greywater. Barry Millar gave an educating tour of the plant room and a demonstration of the Waterscan system. 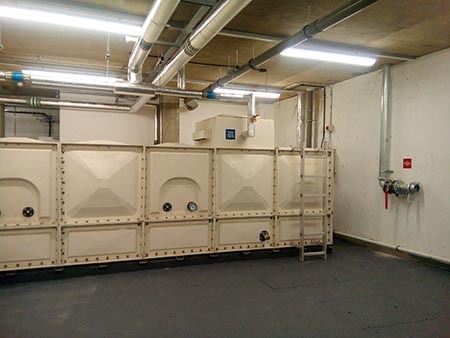 A more assured output quality than other more traditional GW systems. After an interesting and informative visit to the plant room, we were treated to a tasty lunch by our hosts. Our many thanks to Waterscan for this opportunity.